Think of online retail, and the chances are that the big-name players, such as Amazon and Asos – or perhaps a multichannel powerhouse like John Lewis – will spring to mind first. The joy of the Internet, however, is that it’s opened up the possibility of being a retailer to a much wider pool of enterprising people than was ever possible before. The availability of low-cost e-commerce platforms and payment systems, such as PayPal, as well as the global reach of the web and social media, mean that almost anyone can trade successfully online with limited upfront costs – often alongside holding down a day job, and in niche markets that might not always lend themselves to a physical store. While some of these fledgling businesses quietly disappear over time, others scale up into online retail success stories or even cross over into the high street. To launch a new recurring feature at Soult’s Retail View, called Retailer Q&A, I was pleased to be able to chat to Martin, the person behind one of this new generation of online retail specialists, and – to reinforce my earlier point – whose business first came to my attention via Twitter. 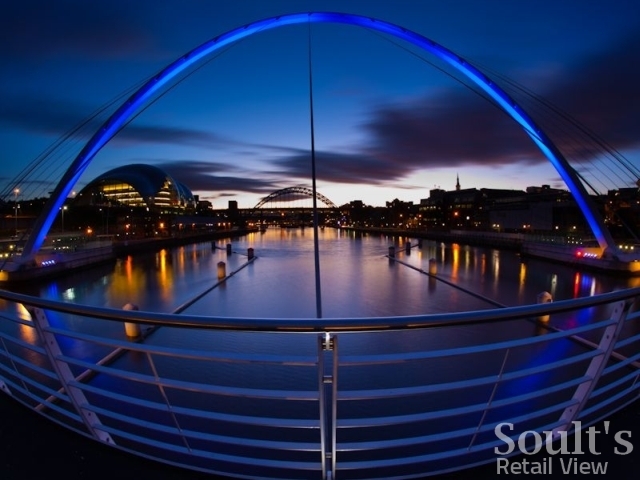 Regular readers will know that many of my posts celebrate what’s happening in the North East’s retail sector, so it’s fitting that Martin’s business – called Geordies Everywhere – should be based in and all about our region. Q: Tell me a little bit about your business – where is it based, what’s its history, and what does it do? 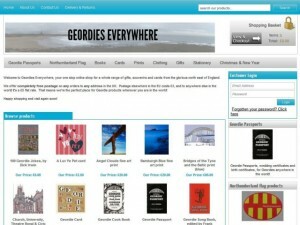 A: Geordies Everywhere is an online store selling gifts, cards and souvenirs from Newcastle and north-east England. We offer free postage to any UK address and flat rate postage on all our products to anywhere in the world. 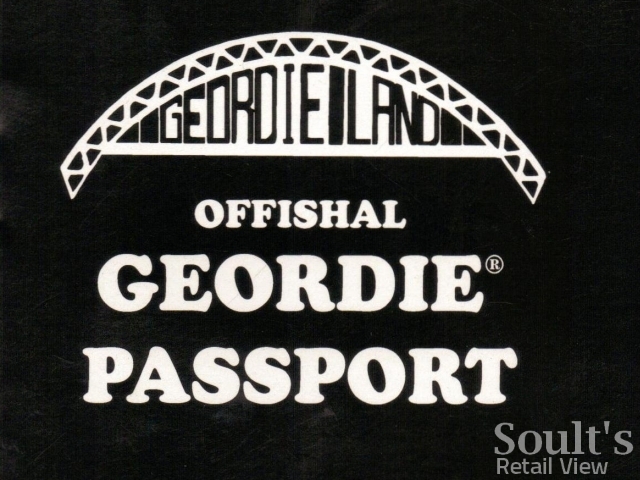 Top sellers are things like Geordie Passports and dictionaries, Northumberland car stickers and fantastic Geordie cards, which are all made locally. The business is based in Whitley Bay, but sales are 99% online, and I’ve done as much as I can to keep costs to a minimum. 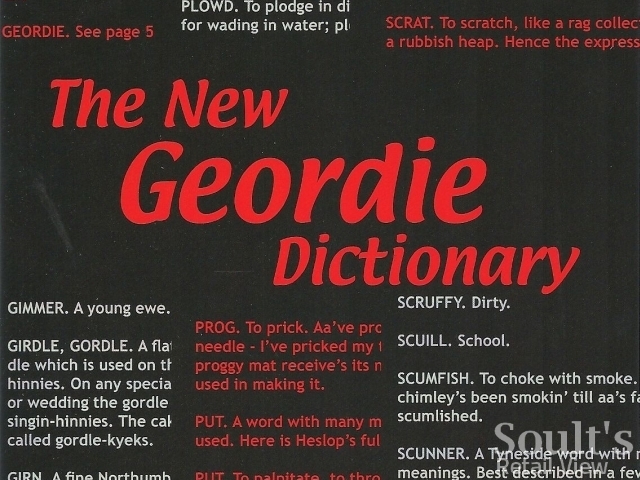 The idea was specifically to concentrate on things that are easy to post, and to try and market the business to people locally as well as the ex-pat Geordie population in other parts of the UK and worldwide. The business is very much something I do in my spare time, while working full time elsewhere. I made the conscious decision to let it build itself quietly in the background by word of mouth, rather than spend a lot of money trying to force people to take notice. Q: And what’s your own role in the business? A: I’m a sole trader, so at the minute my role is anything and everything! I sourced the stock and have tried to build relationships with suppliers, I set up the website using an off-the-shelf web shop creator, and I’m responsible for the small amount of publicity the business does. 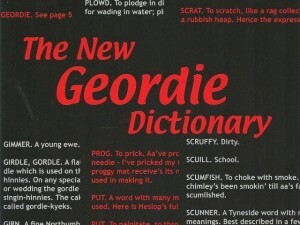 To be honest it’s possible my tweets @GeordiesEW do more harm than good! Q: What’s your business model, and why? Is it bricks, clicks or both? A: The business is pretty much online only, although I did do a couple of Christmas fairs last year, which were quite successful. If possible I’d like to do more this year, but that might be tricky because the day job is taking me away from the region. Q: Looking forward, what do you see as the greatest opportunities for a business like yours at the moment? A: I’m realistic enough to know that a business like this has a limited worldwide appeal; however, I’m confident that a market does exist. There are loads of good products out there, and at the moment I’m probably only scratching the surface due to limited funds and time! At the end of last year it looked like there may have been the opportunity to get some grant money out of Business Link to use on publicity material. That didn’t transpire in the end, but there may be an opportunity to pick up something like that in the future. Q: And what about the main challenges? A: I’m shortly going to be moving out of the area for work. This doesn’t stop me from operating the site, but it will make it trickier to keep in touch with suppliers, and might prevent me from chasing more offline sales, such as at markets. Other challenges I’m facing are an increase in web hosting fees and bank account fees that are both due to hit in August. Unless I can do something to negotiate on these charges, it’s probably questionable whether the site would be viable with the current level of sales. I’d like to keep it going, but time will tell. 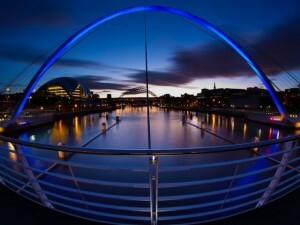 Q: Where do you hope your business will be in five years’ time? A: I genuinely have no idea. I don’t know whether the site will be running, and if it is, whether it will be me or someone else in control. It would be nice to think the site can find a niche and continue to grow organically, but I guess time will tell. I know the site isn’t going to make anyone a millionaire, but I do think there’s a nice niche market there, that not many other people are targeting. 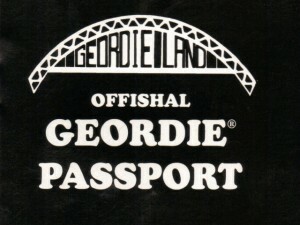 Geordie Passports, for instance, are a very popular gift, and I don’t know of anyone else selling them online. Q: And any final thoughts or comments that you’d like to add? Not at the moment, just to say keep up the good work on the blog – it’s always an interesting read! Retailer Q&A is a new format where Soult’s Retail View talks to retailers – large or small, and whether bricks, clicks or multichannel – about their current innovations, aspirations and challenges. As always with Soult’s Retail View, the features are not paid for – it’s all about providing interesting stories and content for the blog’s readers. If you run a retail business and are interested in taking part in the feature, please drop me an email or a tweet!